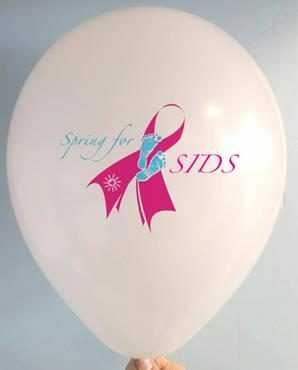 Purchase 11 inch balloons with the colourful Spring-for-SIDS logo. Use them to decorate your venue or do a balloon release as part of your event. Balloons and other SFS materials will be mailed out in early March. If you need them earlier email sfs@sids.org and let us know. Reserve yours today while supplies last. Your credit card will be charged now. NOTE: You must be logged in with your team username in order to purchase balloons.